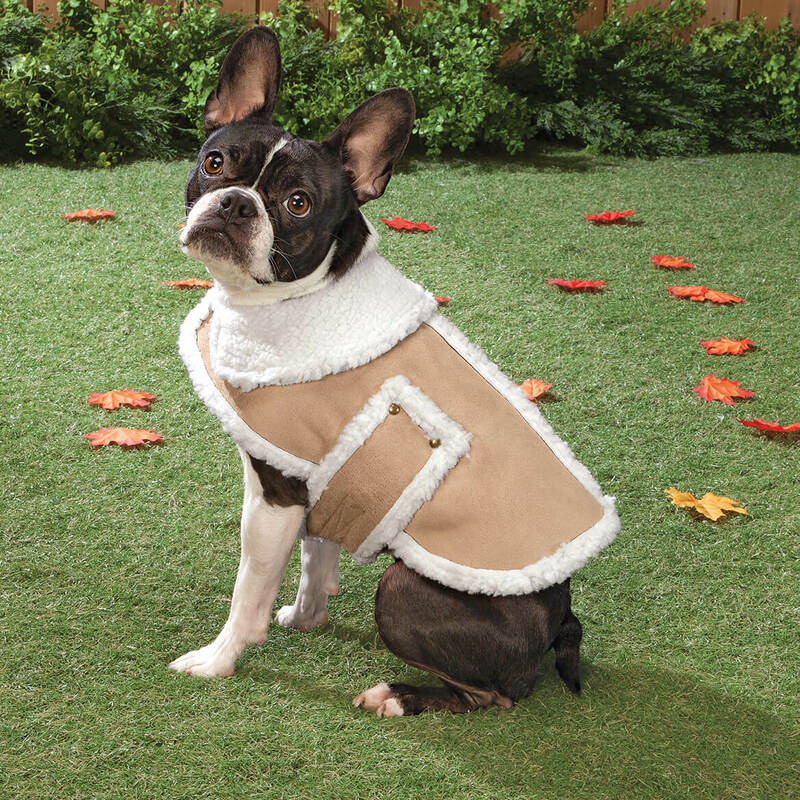 I loved the sherpa coat for my dog so I ordered another for a friend, it was too big but we gave it to another friend who loved it. I have another on order so you can see I loved them!! Weather is starting to get a tad bit colder and my fur baby is short hair, so needed something that was easy to put on him. This works perfect. Keeps my baby warm and dry. Dogs like warm too. Easy on/off. A little big. Should've bought a smaller size. 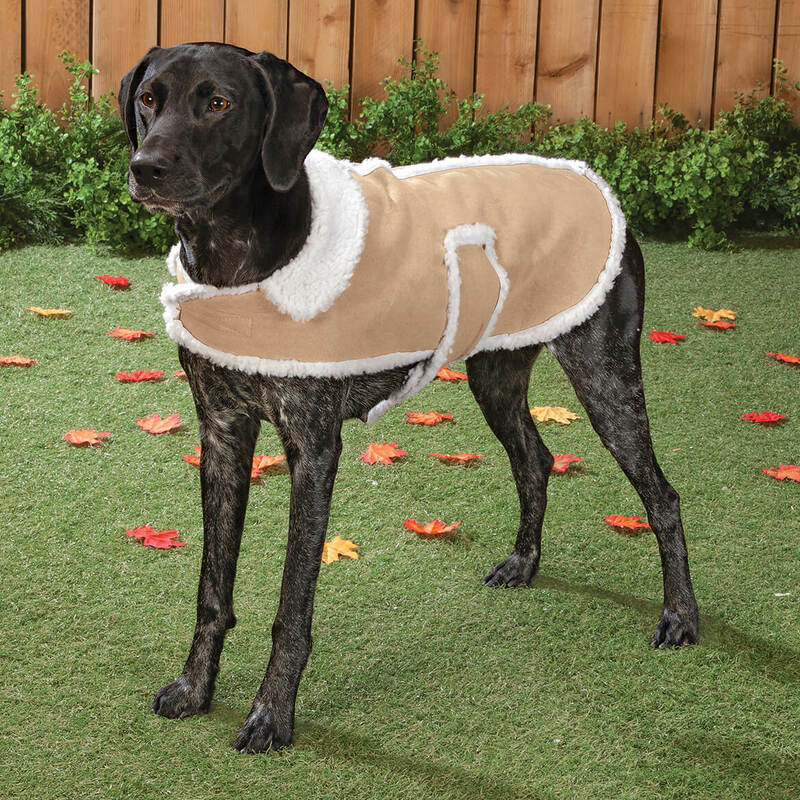 I ordered this for my 35 lb dingo mix according to her measurements and it is too large. The velcro needs to constantly be re-strapped and it does not fit her snug enough. I have one for my mini doxie that was ordered elsewhere and it is much better quality. This one seems flimsy and thin and not well constructed. The Sherpa Coat was of the poorest quality, it was junk. There is nothing great about it, the catalog said thick suede, not, it was thin as paper, not warm at all and 4" to long. My mini doxie has one of these that was ordered elsewhere and is of much better quality. This one that I ordered for my dingo mix dog from Miles Kimball does not fit her correctly. The velcro does not match up correctly and does not fit her snug enough. I am constantly having to re-strap the Velcro. It does not seem very strong. Over all I think it is flimsy and not well made. I ordered a large according to her measurements but I am thinking of returning it and trying a medium and giving it one more shot. How do you know what size to get? Description says measure from collar to base of tail but there are no measurements with the sizes! BEST ANSWER: Thank you for your question. The second measurement listed as wide is showing how wide the jacket only is. There are also hook and loop straps that fit around the belly so this is actually wider than advertised. 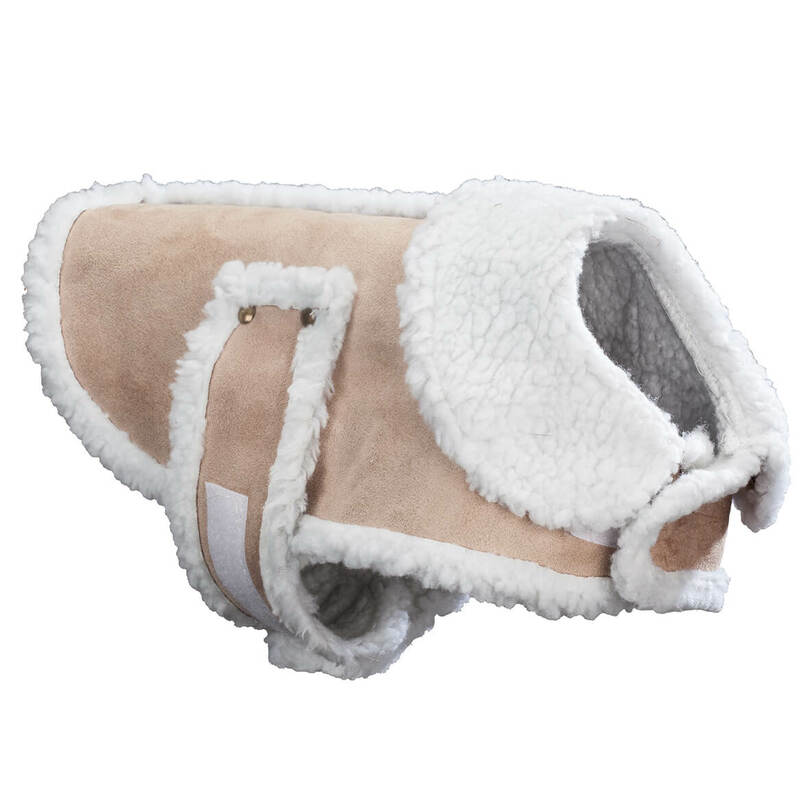 The large with the straps at the smallest it is 20 ½” wide and at the largest it is 30 ½”. We hope this information will be of help to you.